The novel opens with the brutal repression of a political uprising. Mathematically gifted but prone to moments of self-doubt, an ambitious Captain by the name of Kel Cheris uses a series of heretical tactics to slaughter a group of political dissidents whose political agenda is conspicuously absent from discussion. In the heat of the moment, it is easy to fall into the trap of thinking that the term ‘heresy’ is nothing more than hyperbole designed to bolster the protagonist’s credentials as an unorthodox thinker but the more we learn about the world of the novel, the more apparent it becomes that ‘heresy’ is a word with a good deal of substance, both political and metaphysical. Exotic technologies depended on the high calendar’s configurations: the numerical concordances, the feasts and remembrances, the associated system of belief. The mothdrive that permitted fast travel between star systems was an exotic technology. Few people advocated a switch in calendars. Too much would have to be given up, and invariant technologies, which worked under any calendar, never seemed to keep up. Besides, any new calendar would be subject to the same problem of lock-in. Major heresies emerge when groups of people decide to break with the existing order and organise their lives in different ways. In the universe of the novel, the shape and structure of political reality is represented by the use of particular calendars and any deviation from the ‘official’ calendar of hexarchate rule is referred to by the wonderfully sinister term ‘calendrical rot’. My reason for going into the background of the novel in such detail is that – aside from showing the originality of Lee’s world-building – I wanted to underline the extent to which this book demonstrates the absolute futility of genre classification: You can read this book as SF, you can read it as fantasy, or you can read it as a bit of both. Taxonomies require rigorous definitions and while most people have their own intuitions as to what might constitute science fiction, you cannot have a discussion about the boundaries between things that were never clearly-defined to begin with. Rather than obsessing over the question of which literary tradition this book happens to fit into, it is better to look at what the book does and consider whether or not it is likely to be of interest. As suggested in the post explaining the choice of books that went into my personal Sharke shortlist, I am interested in works that encourage us to question our assumptions about what constitutes genre writing; on a stylistic level, I am drawn to the literary. On a formal level, I am drawn to the experimental. On the conceptual level, I am drawn to the radically different. I was drawn to Yoon Ha Lee’s debut novel because I see all of these things in his short fiction. At the end of the world, your grave is written not in bitter libations or raven words or elegies breathed across broken glass. This is a form of evocative prose that recalls passages from Joyce’s Finnegan’s Wake and, more recently, the work of Annie Proulx. Some forms of literary density absorb, while others repel and Lee’s short fiction is full of images and ideas that force you straight out of the text as you try to piece together what they might mean or represent; what are “raven words”, and what happens to an elegy when it is “breathed across broken glass”? This type of writing has become increasingly popular in genre short-fiction in part because the assumptions that genre audiences carry in their heads serve to imbue those beautifully-turned phrases and eyeball-kicking images with a degree of metaphysical ambiguity. Raven words can just as easily be poetic descriptions of how things feel as literal descriptions of an alien world. What draws me to Lee’s writing is the fact that he never seems content with mere evocation. Lee understands that deliberately bouncing your readers out of the text can be an aesthetic end in its own right and that repeatedly shifting between magnetic and repulsive forms of density can create and effect not unlike that of diving deep below the surface of a lake only to wind up desperately breaking for the surface in search of air. At its best, Lee’s prose conveys a sense of oppressive stillness that is perfectly attuned to the universe in which many of his stories take place. Reading Lee’s prose, I am always reminded of Zhang Yimou’s criminally under-rated Curse of the Golden Flower where the ritual observances and densely-layered etiquette of a Tang dynasty court invoke feelings of intense claustrophobia as passions surge and madness slowly builds. The density of Lee’s prose reflects the oppressive nature of his setting and that break for the surface is all about the possibility of psychological escape. 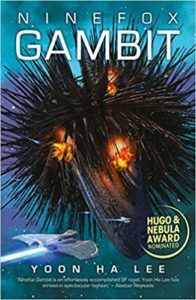 I purchased Ninefox Gambit hoping that it would take the brilliance of Lee’s short fiction and scale it to fit a much longer form. However, while the novel does sometimes drown you in beautiful images, revel in oppressive stillness, and builds to a moment of explosive moral and psychological liberation, the novel’s narrative structure is that of a conventional work of military science fiction, a form that does not play well to Lee’s strengths. Despite only being a captain, Kel Cheris’ use of heretical battlefield tactics earns her the chance to ‘pitch’ for the command of a more important mission. I’m not entirely sure why a rigidly structured and socially oppressive military hierarchy would allow junior officers to pitch for missions several levels above their paygrade but the result is a sort of Dragon’s Den for space Nazis. Having secured the nod from Peter Jones and Duncan Bannatyne, Cheris has herself possessed by the ghost of a mad general. Trained as an assassin but seconded to the military, Shuos Jedao spent decades earning himself a reputation for tactical subtlety until one brutal mission too many apparently caused him to go mad and turn his weapons on his own troops. Unwilling to waste such a valuable resource through vulgar execution, the hexarchate turned Jedao into a ghost who can be sent on missions by attaching him to the soul of a living officer. Freshly implanted with the soul of a brilliant but duplicitous madman, Cheris is given command of an armada and sent off to recapture the heretical Fortress of Scattered Needles. Cue much angst as the young officer struggles both with the burdens of command and with the presence of thoughts and feelings that are recognisably not her own. 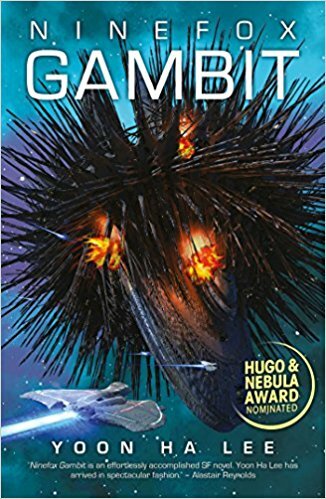 As someone who doesn’t particularly enjoy either military science fiction or space opera, my reading of Ninefox Gambit came to revolve around the relationship between the book’s two primary characters. Unfortunately for me, while the nature of the bond between Cheris and Jedao turns out to be one of the major pillars of the novel, it is also one of the book’s most frustrating weaknesses. The root of the problem lies in the fundamental imbalance between the characters as while Jedao is a mysterious and charismatic figure whose love of misdirection and mind-games keeps both Cheris and the reader in a constant state of emotional unbalance, Cheris herself feels like little more than a blank slate. Ambitious and brilliant but also naïve, self-conscious, and prone to fits of comic clumsiness, Cheris has no friends, no family, no lovers, and no history. 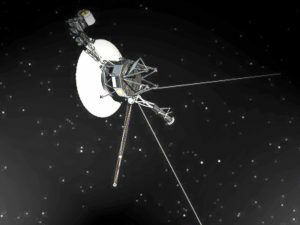 In fact… she has little to no inner life beyond that allowing her to angst about her command of the mission. Lee does try to bulk out the character by stressing her interest in trash TV and competitive duelling but neither of these elements receive very much in the way of sustained attention and so wind up feeling like somewhat clunky attempts at making the character more relatable and giving her some skills that aren’t grounded in set theory. Cheris’ lack of psychological depth is only accentuated by the way that Lee lavishes attention on Shuos Jedao. Unlike Cheris, Jedao gets a childhood he mines for anecdotes, a family he misses, a culture that has disappeared in the years since his death, a tragic love life, an academic career, and a sexual history filled with both joy and sorrow. While Cheris’s backstory feels thin and perfunctory, Jedao’s makes him not just a complete person but a complex character defined by all sorts of engaging contradictions. The lack of balance in the book’s central relationship is frustrating as their relationship is clearly designed to serve a vital narrative function, namely that of guiding the reader from a place where they accept the hexarchate’s moral universe on its own terms to a place where they are rooting for its destruction. Lee propels us along this trajectory by having Cheris and Jedao engage in a series of set-piece arguments that feel a lot like an internal conflict and so wind up foreshadowing the end of the novel. The problem is not just that Jedao is absolutely correct about the hexarchate being grotesquely evil, it’s that Cheris lacks anything approaching a developed moral sensibility and so the debate feels not just one-sided but a perfunctory waste of everyone’s time. The frustrating thing is that while I can imagine a story in which the pros and cons of imperialistic authoritarianism are intelligently and sensitively dissected by two people with opposing political views, the lack of balance between the two characters and their respective inner lives means that the novel winds up with nothing much to say beyond the obvious. The book ends with the protagonists’ ship being targeted with a weapon that magically causes Jedao’s memories to materialise around Cheris. This effectively brings all of Jedao’s secrets out into the open and forces Cheris to re-live the most painful and formative experiences of Jedao’s life including love, loss, triumph, betrayal, trauma, and the decision to seek vengeance on your friendly neighbourhood space Nazis. Lee handles Cheris’ journey through Jedao’s unconscious using some Ancillary Justice-style pronoun swapping that allows a queer female character to experience the life of a queer man. These passages are gloriously rendered and positively drip with delicious melodrama but they’re not a good remedy for the flawed debate-like structure that drives the novel’s central relationship. In fact, they actually wind up making things far worse as they wind up compounding imbalance with crippling indecision. I’m dead, she thought, very clearly, as I wanted to be, but I’m alive enough to carry on the war. Read some of the interviews that Lee has given and it’s possible to piece together why he might have felt uncomfortable engaging with the emotional and psychological dynamics at work in the novel’s climax. Obviously, I am sympathetic and I fully expect that the fate of Kel Cheris will be dealt with in full at some later point in the series but Ninefox Gambit is a novel that builds towards a moment of moral and psychological liberation and Lee’s decision to flinch from his own conclusion means that that moment never actually comes. Lee’s tendency to use abstraction as a means of glossing over complex details also serves to undermine the novel’s numerous action scenes as the need to inhabit Kel Cheris’ morally-compromised worldview means that the novel is forever downplaying the suffering caused by her actions. Like the Cold War strategists who once took the world to the brink of nuclear annihilation, Kel Cheris views warfare as a series of abstract mathematical problems with right and wrong answers. While abstracting away from Cheris’ skilful deployment of state violence does serve to retain the audience’s sympathies, it also serves to deprive every action scene of both tension and consequence. It is often said that cyberpunk never caught on as a cinematic genre because so many of the books cut to someone sat in front of a computer typing. Now imagine a film that cuts to someone desperately solving equations and you’ll begin to understand why so many of Ninefox Gambit’s action sequences feel abstract and distant when they should be visceral and exciting. In fairness to Lee, he does try to ground the battle scenes in some kind of realism by cutting to these little vignettes in which people get gunned down whilst trying to go about their daily lives inside the fortress but these vignettes are poorly integrated into the novel and wind up feeling more like a series of jarring disconnections than the dose of humanity suffering that the narrative required. The one exception to the novel’s mishandling of its own action sequences is the moment where Lee ventures back into the kind of social spaces that define so much his short fiction. With two vast armadas squaring off against each other in the depths of space and violence about to erupt at minute, Jedao and the rules of the Fortress of Scattered Needles engage in a game of bluff and brinksmanship in which they try to strike a balance between presenting themselves as allies and not letting their guard down for even a second. The scene rumbles on for a while as the professions of friendship grow ever-more elaborate and unbelievable but then someone starts shooting and the spell is broken. I admit that I am not the intended audience for this particular novel… The older I get and the more books I read, the more I find myself getting uncomfortable around cathartic fantasies of righteous slaughter. These days even stories that use war as a backdrop to personal flourishing strike me as not just deluded but morally abhorrent. At a time when fascism is rising on both sides of the Atlantic and the West’s on-going armed intervention in the Middle-East continues to claim the lives of entire families, do we really need another book that treats war as the crucible of personhood? The great novelist and critic Chinua Achebe once said of Joseph Conrad’s Heart of Darkness that it reduced the population of Africa to props in a story about the collapse of a single European mind. If Achebe was right to be sceptical of Conrad’s dehumanising abstraction then what are we to make of the people who needed to die so that Kel Cheris could finally begin questioning the morality of governments murdering thousands of their own citizens? What are we to make of the tens-of-thousands who died as a result of Chuos Jedao’s absurdly long-winded plan to overthrow his own government? Different readers are going to approach the novel with different tastes and while many will be less sensitive to the book’s simplistic depictions of state violence, I suspect most people will happily root for the protagonists and not be overly bothered by a novel that treats human lives as nothing more than plot coupons that the characters dutifully collect on their way to acquiring a conscience. I think what most disappointed me about this novel was the fact that it was written in the first place. Seek out Lee’s short-fiction and you will find a beautifully-conceived and realised universe that is defined by its oppressive social spaces. Unfortunately, while Lee’s stories are full of complexity and literary panache, his step up to novel appears to have involved a failed attempt to strike a balance between his own unique sensibility and that of a load of reactionary white guys writing fifty years ago. When I read the short fiction of Yoon Ha Lee, I see the future of science fiction. When I read his first novel I saw that beautiful future being choked to death by the ghosts of the past. I saw that beautiful future being choked to death by the ghosts of the past. Well, that does seem like a moment that wouldn’t surprise me in one of Lee’s short stories. As another admirer of Lee’s short fiction, I had a lot of hopes for this novel (and I do enjoy the occasional space opera; mil-SF, not so much). But in the end, while I didn’t think it was a bad novel, and I found aspects of its conceptual weirdness intriguing, I was disappointed by how very conventional it turned out to be: another overthrow of an Evil Empire. And as you note, one of the main foci of the novel, the relationship between Jedao and Cheris, is completely lopsided, because Cheris is so little developed. If I recall correctly, you’ve actually underestimated the death toll involved in Jedao’s rebellion: he got himself turned into a ghost by the Hexarchate by slaughtering one million people (half his own troops, the other half the heretics he’d been ordered to destroy). The mind boggles at the price he might be willing for other people to pay to ensure his victory over the Hexarchate. Firstly, criticism is contextualisation. There is no considering “what the book does” without also asserting “which literary tradition this book happens to fit into.” Every value-judgement implicitly sets a book in a context. Second, though, there can certainly be acknowledged and unacknowledged contextualisation, and this review strikes me as a bit hobbled by the latter. One of the noticeable things about most of your reviews is how full of references to other works they are: I count seventeen in your review of The Underground Railroad, for instance, that create a context for the work (The Road, The Yiddish Policeman’s Union, Twelve Years a Slave, The Female Man — I can start to usefully extrapolate your understanding of The Underground Railroad as the intersection of those reference points). But I count only six similar references here, none of them sustained, and most of them with reference to Lee’s short fiction rather than his novel. And it’s not like Ninefox Gambit lacks hooks — it’s rather striking that you don’t engage at all with the novel’s treatment of Korean history and culture, with its depiction of mental health, with its use of games (both as aesthetic source and conceptual framework), and only glancingly with its queer narrative; and goodness only knows how you got through a discussion of Lee’s style without mentioning Cordwainer Smith — which suggests to me you were rather snow-blinded by the surface of the book, and left measuring it against a bunch of authors and texts that aren’t really doing many of the same things. 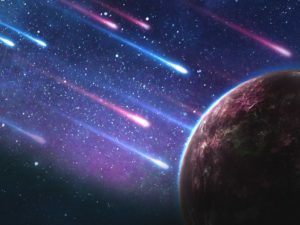 These are all valid questions, and moreover they are questions that attempt to reach behind and beyond the broad-brush, morally simplistic approach on display in much of space opera and its affiliated constituencies. Text-based criticism — which I enjoy! — still relies on established context, though. It’s impossible to claim something as clumsy without reference to a standard of beauty. In a shared context, that reference can be implicit, but in a context where different traditions and expectations are colliding (different Englishes, different expectations of narrative structure, different expectations of how characters are constructed…), I think a good critic will acknowledge that all yardsticks are parochial, and declare them, and indeed learn to appreciate a variety of yardsticks. I think SF, in general, is that sort of environment now. You’ve either become one of those tedious middle-aged fans who is forever astonished to learn that other people haven’t read the same books they have or you’re trying to ‘defeat me using my own logic’ by a) comparing this review to previous reviews I’ve written and b) judging me by a standard I did not choose for myself, on the grounds that this is kind of what I’ve done to 9FG. I think contextualisation is something more abstract than what I’m talking about in that section. You can talk about different genres and traditions creating expectations as to what a book will make you feel but that’s a different question to what it actually ‘does’ with your attention and your emotional state. If you choose to judge this book according to the standards of milSF then this book doesn’t work particularly well as Lee’s attempts at ‘doing’ tension and excitement mostly don’t work out. I admit, I don’t find that type of thing interesting even when it is done well and so I kinda gloss over that bit. I chose to judge the book as a psychodrama centered on a moment of political and psychological awakening (a prise de conscience) because that’s in the book and I find that more interesting than mathematical space nazis. Reading it in those terms, I found the book to be unbalanced, underdeveloped, and simplistic. You can argue — as you seem to be doing — that you didn’t read the book according to either of those contexts, in which case you’d be well within your rights to say that my review did not ‘do’ something that you found particularly engaging. The question, then, is what might be a fair yardstick? Well… I think that a comparison to Lee’s shorter stuff is fair given the strength and coherence of his voice at shorter lengths. I also think that talking about the action and psychodrama elements are reasonable given the sheer amount of attention paid to them. So… is it reasonable for you to expect me to write an essay about Lee’s relationships with Cordwainder Smith or Korean myth? Well… Given that I’ve never read any Cordwainder Smith or Korean myth I’d say you were being optimistic. Given that I have never mentioned either of those things either here or elsewhere, I’d say you were being unreasonable. Maybe if I’d published this essay in a book with Cordwainder’s lovely face on the cover your expectations might be more reasonable. Maybe if I had made frequent allusions to Korean myth but flinched from actually engaging with the substance of the analysis you’d also be justified in feeling a bit annoyed at my failure to deliver on my promise. Expectations and yardsticks are tricky things… There’s no right answer, only honesty and I think I’ve been 100% up-front about where I was coming from and what didn’t work for me. I don’t think it is. There is no such thing as a pure reaction generated by a text; all reactions are contingent on the experience the reader brings to a text. My issue with your review is fundamentally that you’ve reacted to a part rather than the whole, to an extent that I think is dishonest. I don’t think, for instance, that you can meaningfully discuss how the novel functions as a psychodrama without a more substantive consideration of how that drama is inflected by the culture of the society in which it takes place or by the queerness of the narrative. Maybe you disagree; but you haven’t made that argument, you’ve just ignored the context that exists within the novel. Moreover, as far as appropriate yardsticks go: this isn’t simply a review of a novel, it’s an evaluation of a novel as a potential award-winner. In that situation, surely it’s important to attempt to consider the totality of the text? How many times have we heard that the book that wins the Clarke is the one that remains fertile ground for discussion even after a second reading, when new facets appear? And in that situation, yes, I think it’s the job of a critic to inform themselves about elements of a text that are outside their immediate experience — that doesn’t mean giving texts free passes, or that “everything is good from a certain point of view”, but it does mean being able to recognise and acknowledge the variety of influences and expectations that may be at work. Niall, are you arguing that in order to properly review Ninefox Gambit it’s necessary for the critic to read up on Korean history and culture and the works of Cordwainer Smith? “Properly” is a bit of a leading word there, isn’t it? I’m suggesting that, generally speaking, the more facets of a text a review engages with, on the way to its judgement, the more convincing it will be as an argument for or against award-worthiness. “Engages with” does not necessarily mean “explore everything in equal depth”, and in other situations, reviews that pull out a single strand of a text in isolation from its surroundings might be of more interest. I do also think that in general a critic — as opposed to a casual reviewer — should try to be as informed as possible when reviewing, including going and doing additional research if necessary. It’s also not a great comparison because the ‘weirdness’ of Ninefox Gambit isn’t weird to SF readers the way Cordwainer Smith’s work is weird. Most of Lee’s strange concepts are simply neologisms that we can figure out, or at least ascertain a connection to something we’re more familiar with, which is something SF has been doing for decades, especially thanks to Gene Wolfe and William Gibson who have turned the practice of neologizing into an art. A practiced SF reader can figure this stuff out and know what it means, and have even been trained to allow for the vagueness of impossible-to-visualize concepts like ‘calendrical warfare.’ It’s neat, and sometimes funny when we see the relevance of these new words to our own lives. However, Cordwainer Smith was coming up with stuff that’s just plain bizarre, even today: infected sheep that sprout drugs on their hides, trailer-house court systems, ‘the Great Pain of Space.’ Completely bizarre, freakish, mind-blowing stuff. Even though I can never quite ‘get into’ Cordwainer Smith’s stories, because they are so stale, I still walk away with positive vibes because of the bizarreness of it all. I can’t say I get that from Ninefox Gambit. And I can’t speak for Jonathan, but I will say, for this project especially, I’ve started holding back many of my own comparisons to older SF works because I’ve sensed quite a lot of resentment from readers of newer SF who seem to automatically interpret any references to old books as an exercise in exalting old, problematic books, which, I think you know as well as I do, that it’s a lot more complex than that. Besides, part of the purpose of this project, I think, is to examine the current mass appeal of the books on the Clarke list, so when I see something like Ninefox Gambit which has attracted widespread popularity among SF fans– so much popularity as to land a triple on the Hugo, Nebula, and Clarke lists–then it’s probably wiser to examine its relationship to newer SF, like Ancillary Justice, since I doubt many fans of 9FG are even aware of Cordwainer Smith, but they’ve probably all read Ann Leckie. I must say, like Phil below, I do take issue with your accusation that Jonathan’s review is dishonest simply because he’s examining part, or parts, rather than the whole of the novel. What the heck? This distinction is exactly what separates novice reviewers from skilled book critics because novice reviewers often attempt to speak to every little thought they have about a book. I find myself doing this, and it renders my reviews weak, meaningless, redundant, and garbled, whereas skilled critics work to sniff out new angles of how to approach a book. This project is a perfect example of this method as we each attempt to reinvent a new approach to each book after a new review is posted. Clearly, you would like to see an essay that speaks to the influence of Korean myth on 9FG, and how that influence relates to the work of Cordwainer Smith, AS WOULD I, so would you please write that essay? I think that would be fascinating. But please focus that essay on those connections, and don’t undermine it by going all over the place. Moreover, and again, I can’t speak for Jonathan, but it would be disingenuous for me to even attempt to speak to the Korean myth influence, since I am completely ignorant of it, Wikipedia hasn’t helped much, and I haven’t seen any reviews that have done more than generalized coverage about its connection to the nine-tailed fox myth, but this also comes down to what we have all commented on as an inherent weakness in fandom and criticism, and partly what this jury is attempting to articulate: that we need more criticism, a wider spread of capable criticism, not less. Hmm. I think you slightly overstate Smith’s weirdness, and slightly understate Lee’s. Is the above really that much harder to wrap your head around than a weapon that turns edges into singularities? But I’m not suggesting that simply recognising the similarities between the writers reveals unsuspected depths in Lee’s writing — as I said to Phil, that one is more of a sidebar point. Well, that’s why I specifically said that “‘Engages with’ does not necessarily mean ‘explore everything in equal depth'”. I absolutely think reviews should have focus and tell their own story, but elements of a text don’t exist in splendid isolation from one another. Focusing on the psychology at the heart of Ninefox Gambit is perfectly valid, but doing so without even mentioning the nature of the culture being sfnalised to create that psychology is, to me, a bit like writing an extensive discussion of The Remains of the Day that doesn’t reflect on the characters’ Englishness. I mean, you can, and it might even be interesting — and in the case of Ninefox maybe the ultimate conclusion would be that you don’t think the cultural context is that significant! — but simply blanking out a strand strikes me as wilfully contrary and incomplete way of approaching the text. You can’t have your cake and eat it, Niall. What has actually been coming across in your comments is that you absolutely believe that reviews should tell their own story, but only if it’s the story you consider it most important to tell. Taking the example you give, of course The Remains of the Day has interesting things to say about Englishness – all the more so given Ishiguro’s Japanese background and his fascination with different codes of honour and manners. He is so interesting on this, and generally – one of our most thoughtful writers, in fact. However, it could, and indeed should be perfectly possible to write a valid, insightful review of The Remains of the Day simply by focusing on character and without dwelling unduly on the Englishness aspect of the text, just as it would definitely be possible to write a rigorous review of A Pale View of Hills simply as a scintillating slipstream text without referring directly to the fact that Ishiguro was born in Nagasaki. Just thinking about that book now as I mention it fills me with excitement and the desire to read it again – which is precisely what should stimulate the desire to explore further and write commentary in the first place. A text is a text, in other words. Whilst the cultural and historical background to a work and its writer will usually be of interest and importance – of paramount importance, if that’s the way a critic’s intellect and heart speak to them – a great text can and should always stand upright by itself. I’m not going to say ‘in splendid isolation’ because there is no such thing. But words on a page are in and of themselves a creative artefact, and can be judged accordingly. I would absolutely hate to think that anyone who might be interested in writing criticism might come to it with the idea that they needed to pass a stack of exams – literal or metaphorical – before daring to expose their work to the world. All that is required to write valid criticism is the desire to read, to think about what you have read, and then to make a story, as you put it, of your response. The usual effect of a great text is to make you want to find out more about it – at which point, in the case of Ninefox Gambit, you might want to start researching Korean myth or digging into Cordwainer Smith. But to pretend you ‘need’ to do either of these things in order to respond to what is, once pared down, quite a simple story of power and revenge, is to do both yourself and this text an injustice. “Properly” is a bit of a leading word there, isn’t it? Is it? In the context of My issue with your review is fundamentally that you’ve reacted to a part rather than the whole, to an extent that I think is dishonest. and In that situation, surely it’s important to attempt to consider the totality of the text? I think it’s a pretty defensible word choice. And while I completely agree that a critic should be as informed as possible when reviewing – in fact, as a reader it’s something that I do all the time when reading novels set in cultures other than ones with which I’m familiar – and I’m absolutely willing to believe that (e.g.) a knowledge of Korean history and culture would enhance my appreciation of Ninefox Gambit, if understanding the influence of the former on the imaginary society that Lee has constructed in the latter is vital to judging the merits of the novel, I’m not sure I’d call that a failure on the critic’s part. Oh dear… Seems I was wrong. Niall, you sound like one of those nerds who claims that the only reason people didn’t enjoy Batman vs. Superman is because they were dangerously ill informed about such-and-such’s run on the comic between 1972 and 1975. This is nothing more than cultural gate-keeping and you should be thoroughly ashamed of what you have allowed yourself to become. There is no minimum bar for expertise you need to clear in order to write criticism. All reactions to texts are personal and all personal reactions are legitimate. Did you ever have the experience of reading The Lion, The Witch, and the Wardrobe, having strong opinions about it, and then having someone else, five years later, point out that Aslan is Jesus? I wouldn’t call my initial reading invalid, but neither would I hold it up as a model of informed criticism. I’m not saying Ninefox Gambit is anything like that sort of direct allegory, but that’s what your head-in-sand approach here reminds me of. I strongly agree that all personal reactions are legitimate — indeed I’ve commented elsethread that every reading is ultimately personal. But you’re contributing to a project that is ostensibly about identifying which text is rich and broad enough to stand as an exemplar of science fiction. It doesn’t seem unreasonable to me to apply a slightly higher bar than I would for a passing blog review. I don’t think there’s only one vision of informed criticism… I can imagine someone reading LW+W and responding to it in terms of its depiction of women, its depiction of non-white people, its relationship to other works of children’s fictiom, or its relationship to Grimdark fantasy. I would say that all of those responses are valid and that none of them is in any way inferior or less well informed by virtue of not mentioning Christianity. I agree with everything that Jonathan McCalmont says about the novel’s structural flaws, in particular the problematic subordination of Yoon Ha Lee’s speculative inventivity and complexity to the fascistic, bellicose form of military science fiction. However, I don’t fully recognize the novel from McCalmont’s description. 1) The novel reads like both science fiction and fantasy, but there are many ways to blur or to undercut the distinction. In the case of NINEFOX GAMBIT I think that the “fantasy” aspect is only superficial. It is derived from the fact that the “hard” science underlying the story is not physics but mathematics. It has this structural feature in common with Neal Stephenson’s ANATHEM, which nonetheless is a very different sort of novel. 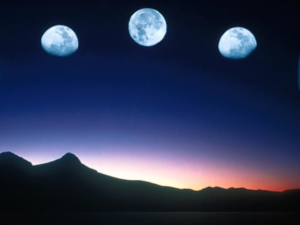 “Calendarity and cardinality form the retentional systems that determine space and time relations and can thus never be separated from religious, spiritual and metaphysical questions. They inevitably refer to the origin and the end, to limits and boundaries, to the deepest perspectives of projection devices of all sorts. Today, calendarity and cardinality are profoundly disturbed. Night and day become interchangeable through artificial electric light and computer screens. The distance and the delay between circulating messages and information nullify each other and the behavioural programmes become correlatively globalised, which is experienced as a kind of cultural entropy, the destruction of life…people everywhere live their cultural singularity as proof of their vitality (of negentropy)”. 3) The fascistic backdrop is itself under criticism both inside the plot and within the world-building. The hexarchate is presented as totally unbalanced because it excluded and exterminated a seventh faction, the Liozh, the philosopher/ethicist caste eliminated for trying to introduce democracy and to free people from compulsory ritual observance of the “remembrances”. So the war is against the fascistic tendencies in favour of democracy and secularism, it is not just an unquestioned background for the hero’s quest for redemption that ends up getting legitimated by the protagonist’s process of individuation. 4) On this basis, but I may be completely wrong here and I may be very disappointed with the sequel, I don’t think that Jedao’s individualistic “the end justifies the means” approach is validated by the novel. He seems to think that slaughtering masses of his own people to get to be immortal in order to overthrow the system is ok, as long as it works. I think that the implication of the story is that Jedao underneath his simulated madness is really mad, because the system is mad, because it has excluded empathy, ethics, democracy.